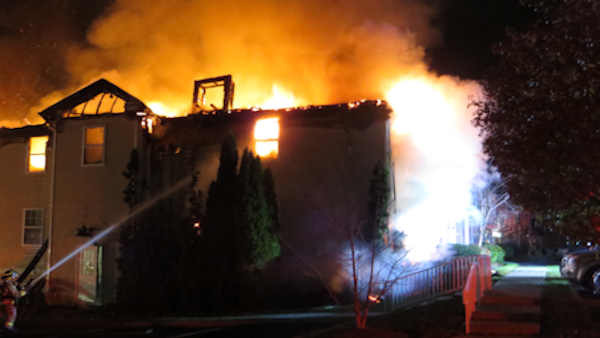 CARMEL, New York (WABC) -- A fire that burned through a large Carmel apartment complex housing many senior citizens left as many as 35 people homeless. 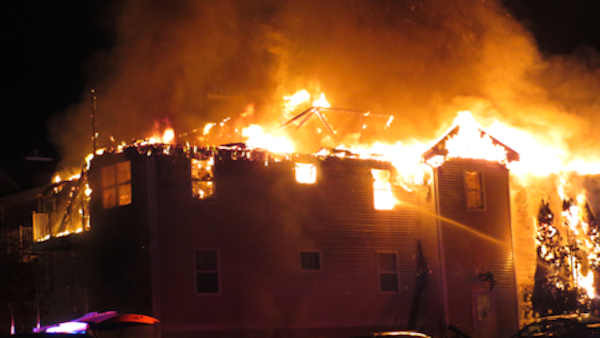 The fire broke out in the Hughson Commons apartments on Gables Way just before 4 a.m. Tuesday morning. All of the residents of the complex got out safely. About 35 were estimated to have been displaced. At least one of the police officers sustained minor injuries. The Putnam County Bureau of Emergency Services has opened a reception center to help residents. Hughson Commons is an apartment community containing 94 rental units. This property serves all family types, including seniors and disabled persons.